When Marvel Studios' Kevin Feige promised there would be more female directors in the very near future, he wasn't kidding. 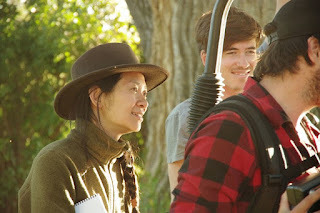 THR reports acclaimed director Chloe Zhao, who received tremendous praise for her soulful western drama The Rider (my review here), has been hired to direct their long-developing Eternals film. This is an interesting move because Zhao had been short-listed for Marvel's Black Widow movie, but that ultimately went to Berlin Syndrome's Cate Shortland. 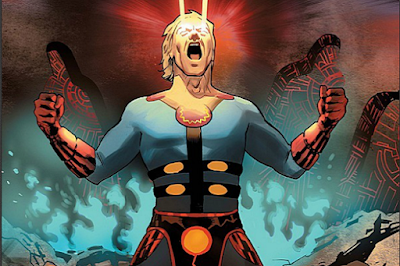 Clearly somebody in the Marvel offices likes Zhao's work, and who can blame them? The Rider is going to end up on a lot of "Best of 2018" lists when all is said and done, perhaps even mine. While Marvel hiring another woman filmmaker is great, especially on a property as huge as The Eternals, it's another example of why they are such a success. They very easily could have hired a bigger name, perhaps one more experienced in studio blockbusters, but chose to go with an indie talent with a unique creative vision. It's worked for them in the past (the Russo Brothers, Taika Waititi, etc.) and here's hoping it works out again. No word on a release date, but expect that to change once Marvel lifts the curtain on their plans post-Avengers 4.